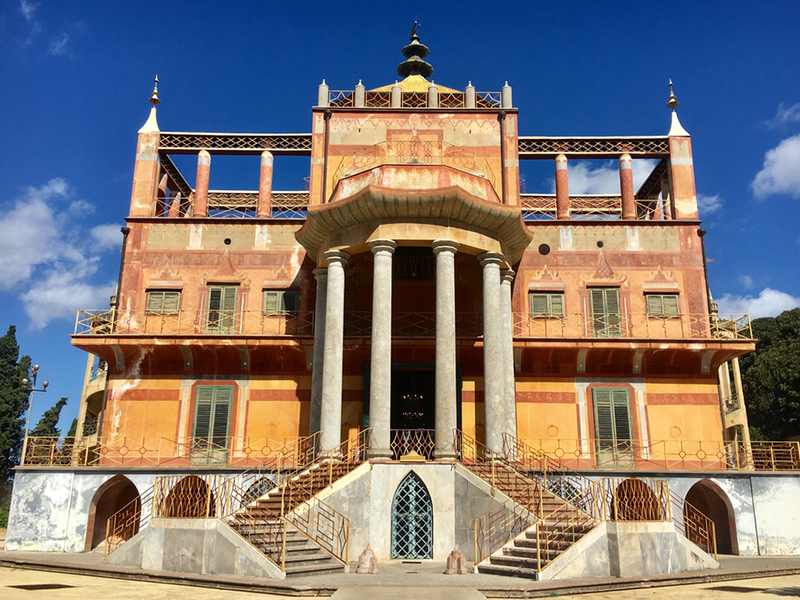 Imagine a maze of crumbling grandeur where you can abandon yourself to the mysterious charm of winding vicolos and medieval markets, gothic palazzos and ancient ruins — a place where the salty air leads you like a siren past eternal crossroads of fallen empires and faded frescos. 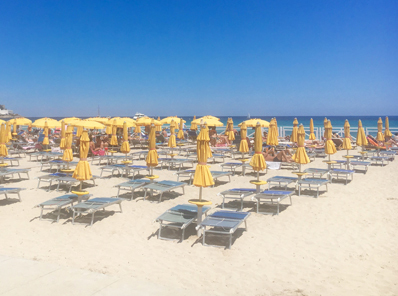 Last September we set out on our all-inclusive Sicilian adventure! 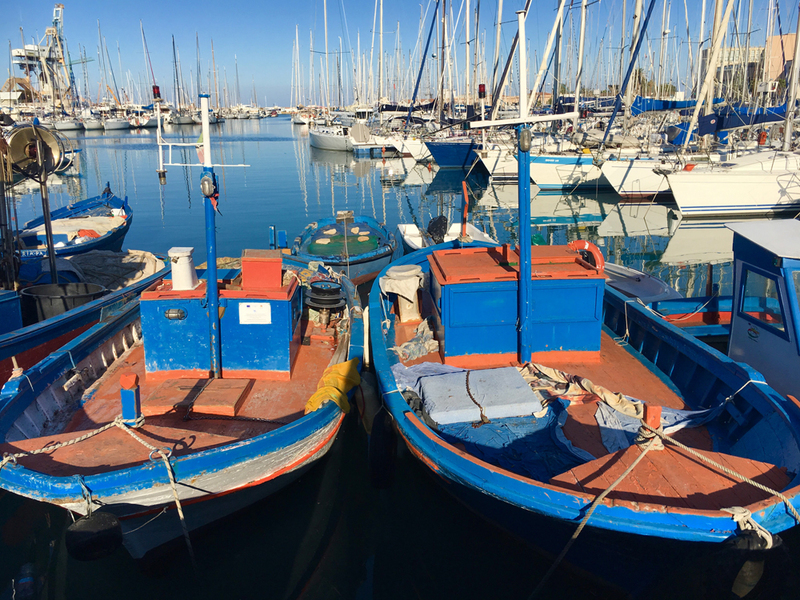 La Vita in Equilibrio took us to this fabled island in the Mediterranean sea. 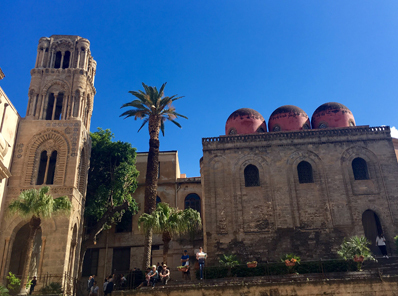 Our Escape began in the vibrant and flamboyant city of Palermo. 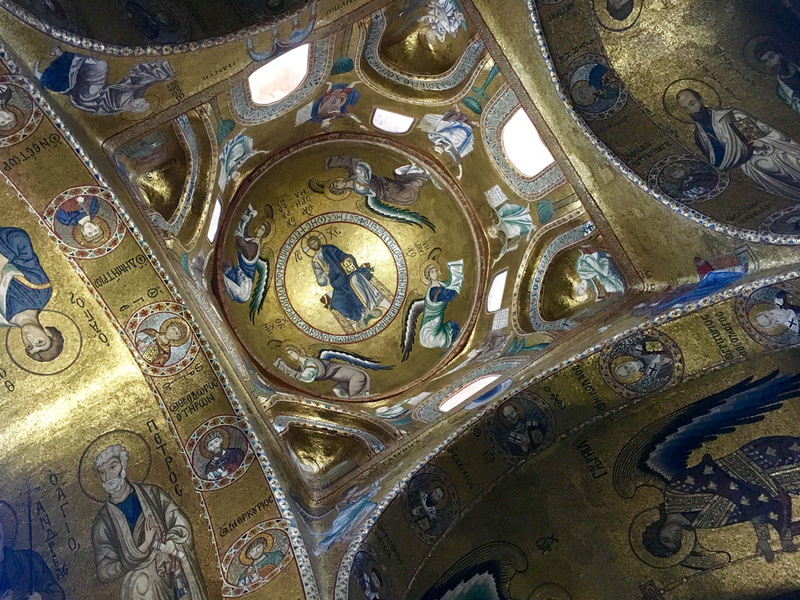 Famed for its storied past and street food culture — this is a city at the edge of Europe, at the center of the ancient world, a place where Arabesque mercati rub shoulders with baroque churches, a place where centuries of art and history collide in a display of bedlam and beauty. 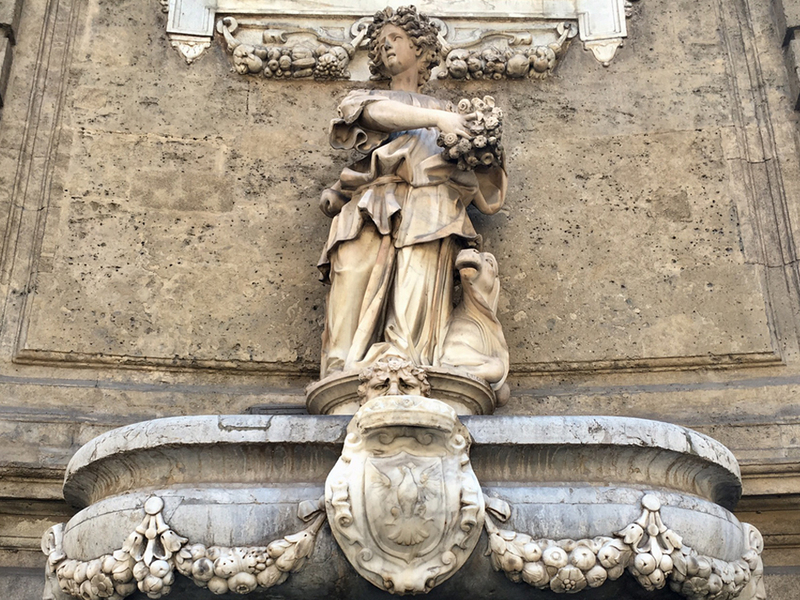 Staying in the heart of Palermo, our boutique hotel Baglio San Giovanni is in the lively and joyful area of centro storico. We greeted each morning with a guided meditation, followed by a warming yoga class focusing on the chakras to recharge the body’s energy centres. Weather permitting, our morning practice took place on a yoga terrace above the Mercato de Capo . 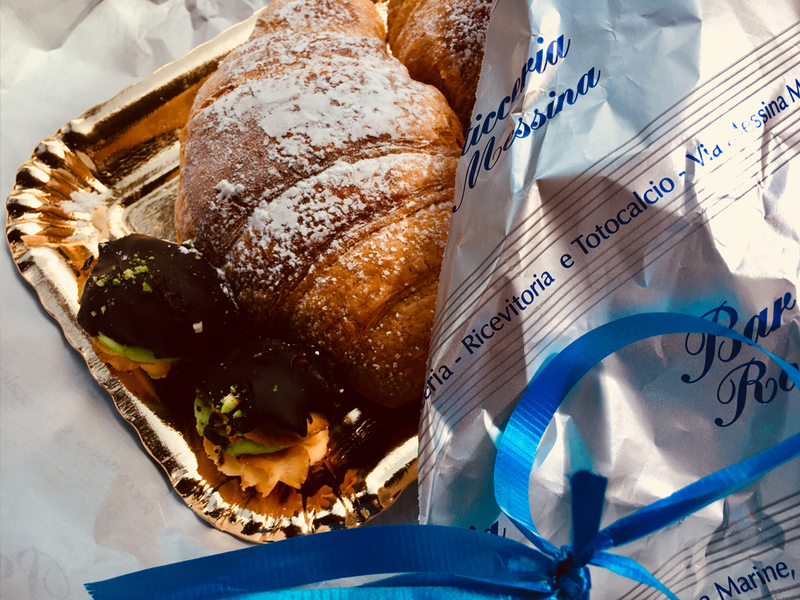 Following this, we indulged in a café breakfast Sicilian-style, before taking some precious moments for riposare — the lovely Italian word for relaxation. 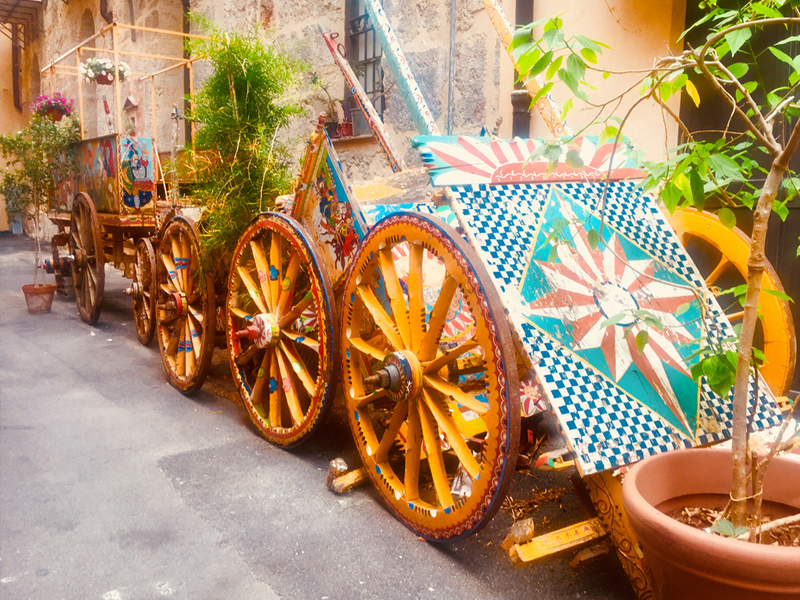 The rest of our days were spent in the ancient heart of Palermo, wandering the colourful markets with fruit stalls piled high resembling works of art, breathing in the dazzling aroma of spices, and savoring street food delights. We took out guests on a tour, exploring the aphrodisiac properties of Sicilian spezzi. We lunched and dined at restaurants serving local specialties that captivated the senses. In Sicilian cuisine we find a tradition of flavourful simplicity — and like an artist’s palette, it is a delicious testimony to the intricate tapestry of cultures that settled here. 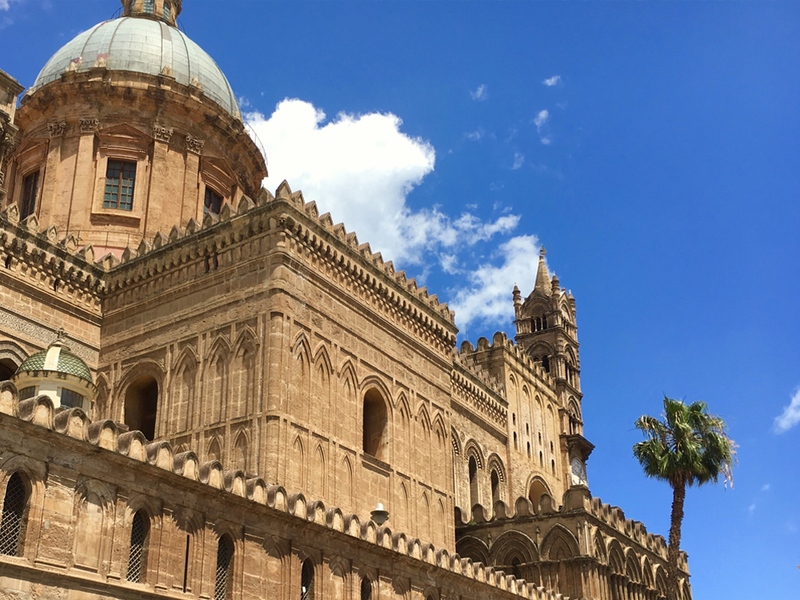 The architectural splendour of Palermo left us in awe as we searched the labyrinthine streets for stories left behind by Norman Kings and Arab dynasties, the glittering gold of Byzantine mosaics and the particularities of Sicilian Baroque. We were enchanted by a street food walking tour that was both informative and mesmerizing! This old world charm sets a backdrop for a city that is abuzz with modern art and fashion. 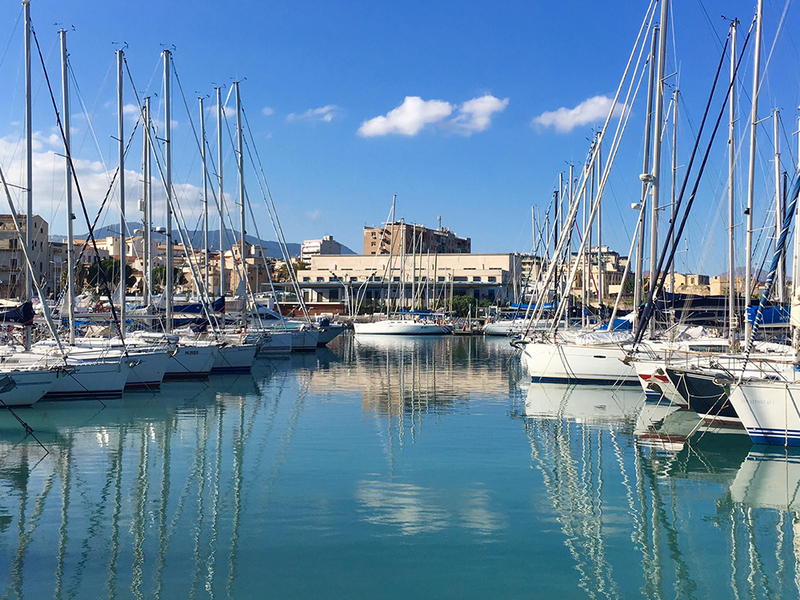 Our Escape provided time for some shopping along the glamorous Via Liberta, as well as scoping out upcoming designers, as we uncovered the secrets of Sicilian style. Here at La Vita in Equilibrio we adore mixing things up a little and included a special stop to Palermo’s most notable vintage haven: Mercurio Vintage. 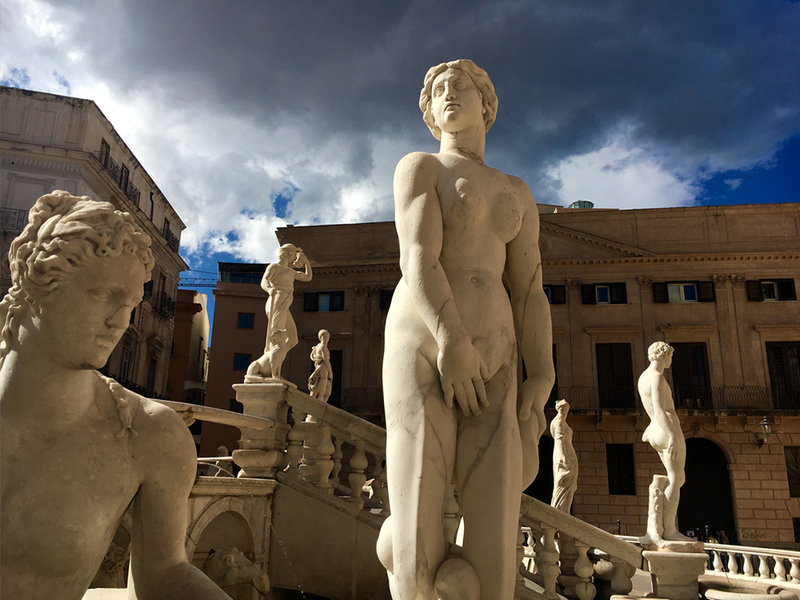 Our time in Palermo was left on a high note with an outdoor concert. With the great and good of Palermo we experienced a night of 100 cellos – famed for performing Beethoven to Bowie! Mid-week we journeyed to the seaside oasis of Marsala — famed for its picturesque salt-pans, sweet wine and amber sunsets. We find repose at the beautifully appointed and luxurious villa on the sea. During this part of our Escape we slowed down and focused on renewal and restoration as we practiced yoga and meditation in the tranquil haven of our villa’s rose garden. 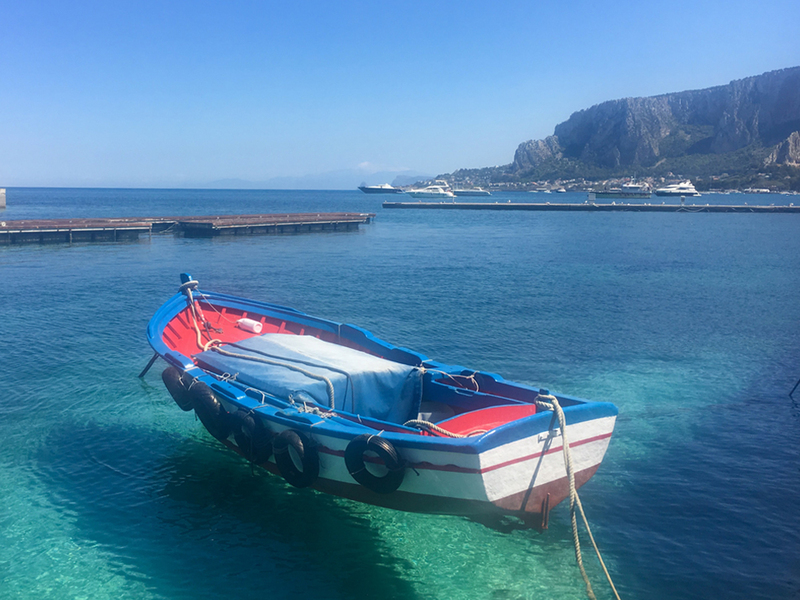 Our activities on Sicily’s west coast included a private wine tour, a day trip by boat exploring the exquisite isle of Favignana and charming sunset aperitivi by the Masala’s famed salt-pans. 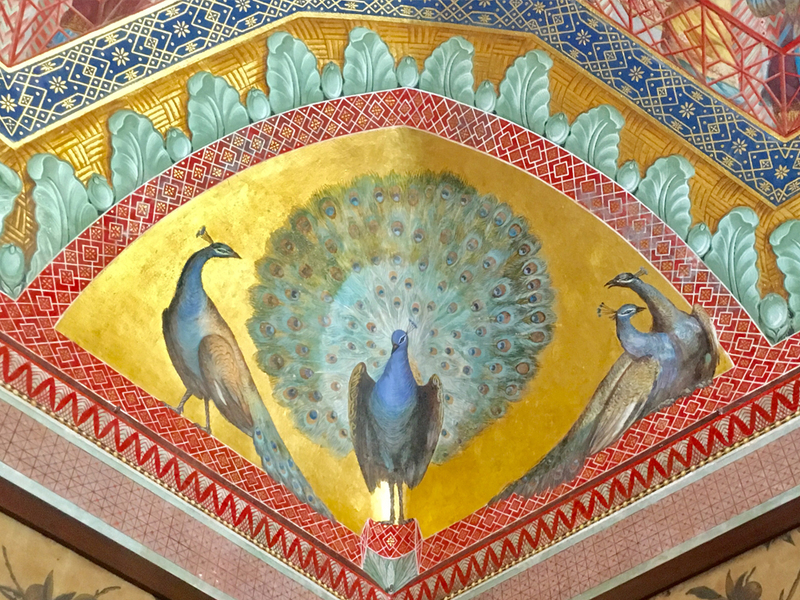 Notwithstanding the magic of wine and art, the yoga highlight of our trip was a sacred meditation in Selinunte. Here in ancient Phoenicia we breathed in the air of lost civilizations and experienced yoga amongst the ruins. Our Escape culminated hilltop gazing over the picturesque vineyards of Fina Cantina, as we sipped on our aperitivo, watching the sunset over the Egadi Islands. In true Sicilian style, we wined and dined together one last evening, having created a memorable tavola of stories and flavours to remain with us per sempre.